Welcome to Saints Peter and Paul Catholic Church’s Christian Formation Program. We offer a variety of programs for the youth of our parish, but one of the most important ones is the religious education program. 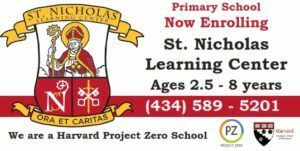 We offer classes for grades Pre-Kindergarten through 10th, with an emphasis on 1st Holy Communion in the 2nd Grade and Confirmation in the 10th Grade.